Jewish children making boxes in the Glubokoye ghetto. In the fall of 1944, as the war raged on two fronts in Europe, approximately eight million forced laborers toiled in Nazi Germany to support the regime’s increasingly desperate attempt to stave off defeat by the Allies. The numbers of forced laborers conscripted by the Nazi regime had steadily grown since the war began in 1939, and as the war continued, the regime came to rely upon this exploited and expendable work force to prop up the German economy in terms of agriculture, construction, and munitions manufacturing. Civilians constituted the largest single group among these laborers, conscripted from all over occupied Europe but especially the East, followed by prisoners of war, especially those from the Soviet Union, and lastly concentration camp inmates, including both Jews and political prisoners. In this vast empire of public and private enterprise, the Jews were singled out for especially harsh treatment and physically punishing work, and many eventually succumbed to what the Nazis called "annihilation through work." This harsh treatment grew out of the forced labor regimen that since 1933 had been an integral part of the Nazi program for controlling those it deemed as political or racial enemies of the German people. The following bibliography was compiled to guide readers to selected materials on forced labor during the Nazi era that are in the Library’s collection. It is not meant to be exhaustive. Annotations are provided to help the user determine the item’s focus, and call numbers for the Museum’s Library are given in parentheses following each citation. Those unable to visit might be able to find these works in a nearby public library or acquire them through interlibrary loan. Follow the “Find in a library near you” link in each citation and enter your zip code at the Open WorldCat search screen. The results of that search indicate all libraries in your area that own that particular title. Talk to your local librarian for assistance. Reviews the literature on Jewish forced labor in the Holocaust and demonstrates how Nazi racial goals conflicted with the economic and territorial realities of Germany’s post-1942 war effort. Includes a brief glossary and bibliographic references. Collection of ten essays originally presented at a symposium of the same name held in October 2002. Includes endnotes and biographies of contributors. Listen to these presentations online at this link. Discusses the history of forced labor in Austria and the development of compensation programs and national commemoration. Includes illustrations, a partial list of restitution payments, an English-language translation of the Austrian restitution law, and a list of suggested reading. Presents twenty essays on various aspects of labor policy and coerced work during the Nazi era. Provides an analysis of the use of rivalry, competition, hierarchy and cooperation amongst independent Reich agencies. Includes charts, endnotes, author biographies, and an index. Presents an overview of various policies and institutions that exploited Jews through slave labor in Germany, Austria, the Czech lands, and Poland. Profiles projects within ghettos and camps as well as in construction projects in the countryside. Includes illustrations, statistical charts, footnotes, and indices. Reviews the history of forced labor during the Holocaust with an emphasis on its use in the camps. Recounts the harsh conditions faced by laborers, the fate of many of them in the death marches at war’s end, and the light punishments meted out to many of the Nazis involved in administering the forced labor program. Includes estimates for the number of forced laborers exploited by Nazi Germany and photographs of prisoners at labor in the concentration camps. A two-part article that provides a historical overview of Nazi Germany’s reliance on foreign forced laborers, such as conscripted Eastern Europeans and prisoners of war, to maintain its wartime economy, and its exploitation of Jewish forced labor in occupied Poland as part of its genocidal extermination program. Includes photographs and bibliographic references. Presents the lives and experiences of 25 Latvian women who were forced into labor in Nazi Germany, in DP camps after the war, and subsequently recruited as unskilled laborers to the United Kingdom. Highlights the long-term effects of Nazi labor policy. Includes statistical charts, illustrations, a bibliography, and an index. Compares the labor policies and institutional practices of the U.S. government and Nazi Germany in response to the needs of the Great Depression. Provides a framework for analyzing the role of foreign and forced workers in Germany during World War II. Includes illustrations, footnotes, a bibliography, and an index. Describes the treatment of the roughly 30,000 “asocial” prisoners sentenced to hard labor in concentration camps. Includes footnotes. Traces Nazi-era foreign worker practices back to the use of forced labor during the German occupation of Belgium in World War I. Presents the implementation of “improved” policies as an extension of previous wartime activities. Includes footnotes, charts, and a bibliography. Presents eighteen essays on various aspects of slave labor, compensation, and remembrance. Some essays in German. Includes footnotes and a bibliography. Explores how the Business Administration Main Office of the SS (Wirtschafts-Verwaltungshauptamt or WVHA, in German) exploited the labor of concentration camp prisoners for the furtherance of both Nazi economic aims and racial goals. Includes illustrations, endnotes, a bibliography, and an index. Surveys the use of forced labor in the concentration camps with an emphasis on the Nazi program of “annihilation through work” that exploited the prisoners for the benefit of the German wartime economy. Analyzes how Nazi genocidal goals interfered with attempts by individual SS officials to make the camps into profitable war industries. Includes bibliographical references. Chronicles the history of Jewish forced labor in Hungary during the Second World War as manifested in the labor service run by the Hungarian military. Documents the service’s development from its origins in military construction projects to its eventual use as a tool in the anti-Semitic policies of the Hungarian fascist party and the German occupiers. Provides testimony from survivors of the labor service, reproductions of archival documents, and numerous black-and-white photographs. Includes a brief glossary, a bibliography and an index. Examines the development of Nazi policy regarding the genocide of European Jews, the Nazi exploitation of Jewish forced labor in the concentration camps and ghettos of occupied Poland, and the motivations of the German war criminals who implemented the genocidal plan. Emphasizes the ad hoc nature of Nazi plans for the use of Jewish forced labor in the ghettos. Chronicles the ordeal and fate of workers at the Starachowice forced labor camps in the Radom district of Poland by using survivor testimony gathered from several different oral history projects. Includes bibliographical references. Relates the experiences of American GIs used in forced labor at the Berga concentration camp. Draws on interviews from American veterans and information from the National Archives on postwar investigations into their experiences. Includes illustrations, endnotes, a list of survivors and victims, and an index. Traces the haphazard development of work camps and other forced labor programs in the Jewish ghettos of Eastern Europe as Nazi occupation leaders sought to harness Jewish skilled labor to the German war effort. Analyzes the Nazi manipulation of the ghettos’ Jewish leadership, who were forced to arrange for the deportations of large segments of their communities in the hopes of saving those ghetto inhabitants deemed “fit to work.” Includes bibliographic references. Provides information on the Nazi use of Jewish men in transportation-related construction projects. Includes notes. Analyzes the role of the SS in the administration of forced labor in concentration camps to support the massive construction projects planned by the Nazi regime. Highlights the harsh laboring conditions in the stone quarries at the Flossenbürg and Mauthausen concentration camps. Provides a map, numerous photographs, and reproductions of architectural plans. Includes extensive notes, a bibliography, and an index. Presents the history of one of the hundreds of forced labor camps for Jews established in occupied Poland. Explores how the camp, run under the auspices of the German munitions firm Hugo Schneider Aktiengesellschaft (HASAG), provided materiel for the German war effort at the cost of thousands of lives. Includes reproductions of archival documents, a bibliography and an index. Discusses the use of German Jews in forced labor projects in the years prior to the mass deportations to killing centers. Includes illustrations, endnotes, and an appendix. Profiles the scientist in charge of the V-2 rocket program and his use of slave labor in munitions factories. Includes endnotes. Describes the extensive use of prisoner labor in the construction, maintenance and economic exploitation of the Auschwitz camp system by the SS business administration. Outlines the various SS-sponsored firms and German corporations that relied upon slave labor from prisoners to run the factories, mines and farms found at Auschwitz and its surrounding subcamps. Based on documents from the archives of the Auschwitz-Birkenau State Museum and the testimony of former prisoners. Includes statistical tables on prisoner employment and bibliographic references. 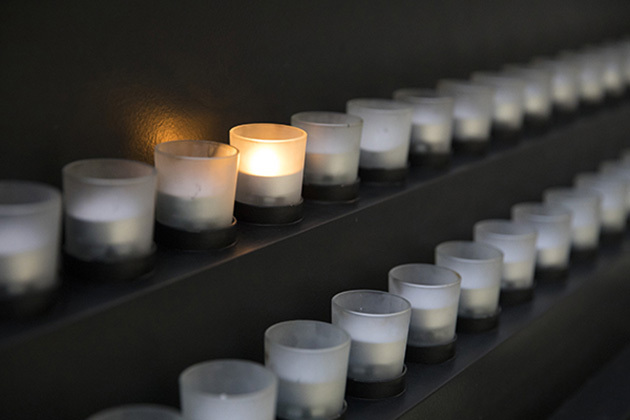 Gathers the recollections of thirty-six Auschwitz survivors who worked as forced laborers in a factory operated by the munitions manufacturer, Krupp AG. Recounts the brutal living and working conditions faced by camp inmates and the attempts by some laborers to assist resistance efforts in Auschwitz. Includes maps, camp plans, a glossary, a bibliography and an index. 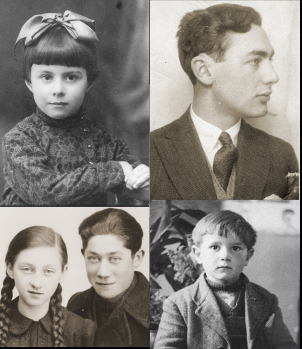 Provides black-and-white photographs of many of the survivors interviewed. Describes the experiences of American GIs in forced labor at Berga, their death march to the village of Rötz, and their liberation by the 11th Armored Division. Includes illustrations, an appendix on military divisions, endnotes, a bibliography, and an index. Collection of twelve essays on various aspects of forced labor during the Holocaust and the experiences of various POW groups. Most articles are in English, some in Italian or German. Includes footnotes. Documents the use of foreign labor in Nazi Germany from 1938 to 1945. Describes the working and living conditions of the laborers, as well as the social controls placed on them by the regime. Based on contemporary newspaper accounts and German government and legal documents. Includes statistical tables on the number of laborers and their circumstances, along with bibliographic references. Examines the Nazi regime’s massive program for conscripting foreign labor as part of its exploitation of the populations of occupied countries. Provides statistical tables that break down the number of laborers by their countries of origin and the effect of their labors upon various parts of the German economy. Includes a bibliography and an index. Reports on the status of scholarship in the area of forced labor. Originally presented at a symposium held at the United States Holocaust Memorial Museum in October 2002. Presents the history of foreign labor in Germany during the war years, highlighting the Nazi regime’s dependence on such labor to maintain munitions production. Contrasts the less onerous tasks and milder treatment given to foreign workers from Western Europe with the harsh treatment given to “racially inferior” Eastern European laborers. Includes statistical tables, a bibliographic essay, and an index. Details the experiences of 1200 Łódź Jews who were used as forced labor in the Büssing automobile factory in Germany. Includes maps, endnotes, and an appendix. Analyzes compensation payments to forced laborers of various nationalities in terms of war-era experiences, political realities, and demographic issues. Includes statistics, notes, and a bibliography. Provides a statistical analysis of the different nationalities and ethnic groups forced into slave labor in Nazi Germany. Includes charts, figures, and endnotes. Profiles the small town of Osterode, Germany, and its use of foreign nationals and ethnic minorities in forced labor during the Holocaust. Includes endnotes. Discusses Henry Ford and the activities of the Fordwerke, the German subsidiary of Ford Motor Company during the period 1933-1945. Juxtaposes Ford’s successful business practices with his notorious antisemitic actions. Includes notes and a bibliography. Collects essays on the history of the German subsidiaries of the Ford and General Motors automobile companies. Addresses the role of these subsidiaries in the exploitation of forced labor for the manufacturing of war materiel. Includes current photographs of surviving laborers who were interviewed about their wartime experiences at the Ford factory in Cologne. Provides a glossary, a bibliography, and an index. Recounts the history of the automobile manufacturer, Daimler-Benz, from its founding in 1926 through 1945. Emphasizes its complicity with the Nazi regime in both its 1930s economic recovery plans and wartime goals. Examines the use of forced labor at many of the Daimler-Benz automobile and munitions factories, reflecting the company’s acquiescence with Nazi racial goals in its treatment of Jews, Poles and Soviet prisoners of war. Based on archival documents from the Nazi era, including those of the company itself. Provides a bibliography and an index. Originally published in German as Stern und Hakenkreuz: Daimler Benz im Dritten Reich. Explores the history of IG Farben from its origins in the 19th century to its complicity with the Third Reich, as the producers of Zyklon B for the gas chambers and by employing slave labor. Includes an overview of IG Farben chief executives, endnotes, bibliography, and an index. Presents several articles on big business, forced labor, and compensation, including works on Ford Motor Company and Daimler-Benz. Each article includes illustrations and endnotes. Presents six essays on various aspects of business operations during the Holocaust, including Ford Motor Works. Contains English-language translations of primary documents, a summary of the findings on Ford’s complicity in forced labor, illustrations, charts, chapter notes, biographies of contributors, a bibliography, and an index. Reproduces the U.S. government’s 1946 investigative reports of the activities of the German banking industry during the Holocaust. Highlights the role of the banks in the economic process and complicity in forced labor, liquidation of assets, and other crimes. Includes excerpts from primary sources, biographies of Nazi bankers, and an index. An exhibition catalogue that traces the history of forced labor at the automobile manufacturer, Volkswagen, during the Nazi era. Examines the creation of Volkswagen in the late 1930s and its use of foreign and forced labor from virtually the start of its existence. Chronicles the firm’s use of concentration camp prisoners as laborers from 1941 on and its creation of decentralized armaments factories with accompanying forced labor camps in the latter stages of the war. Includes documents reproduced from the Volkswagen Corporate Archives. Provides an introduction by the historian Hans Mommsen, numerous photographs, and plans for the company’s memorial site. Examines the importance of the Estonian Oil Shale Industry for the Nazi economy and how Baltic Oil Limited utilized forced labor camps in Estonia keep the oil industry in operation. Includes footnotes. Offers testimony from survivors of the Nazi labor camp, Janovska, who returned to the site of the camp in 1990 in an effort to reconstruct the harsh circumstances of life there. Includes testimony from Simon Wiesenthal. Provides the audio clips of ten presentations delivered at this day-long symposium on forced labor held at the Museum on October 24, 2002. Summarizes the history of forced labor in the camps and ghettos of Nazi Europe. Describes the treatment of Jewish and Soviet POW laborers subjected to hard labor in Auschwitz and Mauthausen. Includes photographs, personal stories, film clips, and links to related Web resources. Ask at the reference desk to see the subject files labeled “World War, 1939-1945 Conscript labor” to find newspaper and periodical articles.